Yoga can help prevent and alleviate a number of conditions, from back pain and digestive issues to bone loss, anxiety, and more. 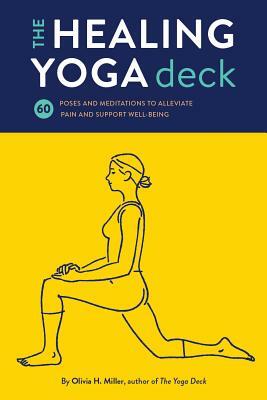 From the author of the bestselling Yoga Deck, this new deck features 60 poses and meditations designed to enhance well-being. Cards are organized into six sections: Energy; Neck, Shoulders & Back; Digestion; Hips & Legs; Bones & Balance; Anxiety & Stress. Each illustrated card includes step-by-step instructions, a list of benefits, and an affirmation. Complete with recommended sequences, this portable deck allows yoga enthusiasts of all ages and skill levels to create personalized routines to target their needs, helping them to feel happier, healthier, and stronger. OLIVIA H. MILLER is a registered yoga teacher and the author of several wellness and exercise decks. She lives on Cape Cod in Massachusetts.